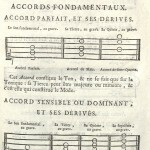 Jean-Jacques Rousseau compiled this dictionary as an act of overt, radical departure from previous dissertations on music such as Jean Philippe Rameau’s rigid principles of harmony. Rousseau stressed the need for spontaneity in the composition and performance of music. For Rousseau, music was not to be an imitation of sound in nature, but a reflection of the composer’s feelings in an attempt to touch the audience in a similar sentiment. He valued vocal over purely instrumental works. 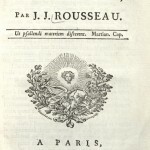 Rousseau emphasized the moral power of music. Dictionnaire was instantly popular and remained so well into the Romantic period. 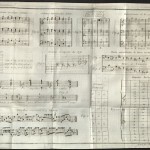 The text is addended with engravings, including Rousseau’s celebrated plan of the opera orchestra at Dresden. George Washington’s death, late in 1799, evoked hundreds of funeral orations from all over the United States. Of these, that of Henry Lee, delivered before Congress on December 26, 1799 in Philadelphia, is the most memorable. His eulogy was re-printed in newspapers throughout the nation, and in pamphlets printed on the continent and overseas. The eulogy covered nearly the entire front page of newspapers. 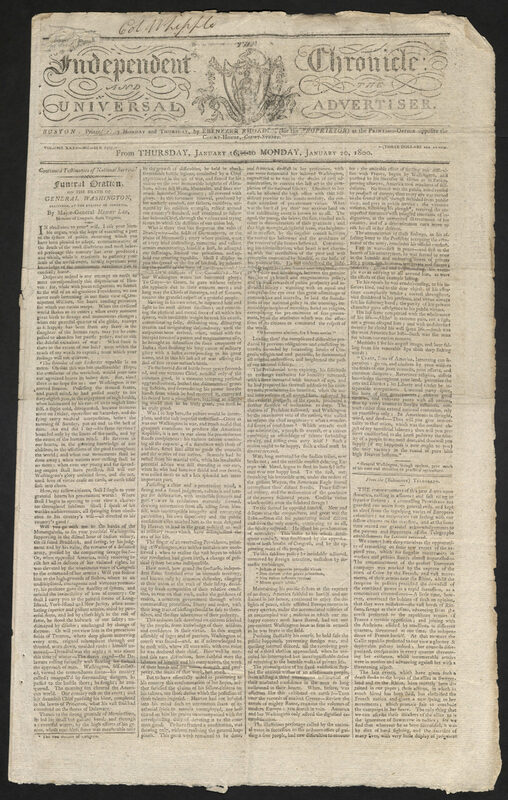 As in many newspapers, this issue included “A Proclamation” signed by then-President John Adams setting aside February 22, Washington’s birthday, for the public to “testify their grief for the death of General George Washington.” In 1885, February 22 was declared a federal holiday. The date was changed to the third Monday of February in 1971 following Uniform Monday Holiday Act. “Light-Horse Harry” Lee had been summoned by Washington in 1776 to join the Continental Army. In 1778, Washington promoted Lee to the rank of major and gave him command of a small corps of irregulars. Lee’s leadership of these troops earned him his nickname. In 1794 Washington sent him to command the suppression of the Whiskey Rebellion in western Pennsylvania. From 1799 to 1801 he served in Congress. Lee helped his friend A.C. Hanson, editor of the Baltimore Federal Republican which opposed the War of 1812, resist a mob attack. In the melee he received injuries from which he never recovered. Lee served a year in debtor’s prison. He was the father of Confederate General Robert E. Lee. 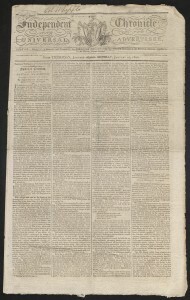 The Independent Chronicle (1776-1840) originated in 1768 as The Essex Gazette in Salem and The New-England Chronicle in Cambridge which joined forces in Boston. In 1820 it had the distinction of being Boston’s oldest running newspaper. University of Utah copy gift of Dr. Ronald Rubin. 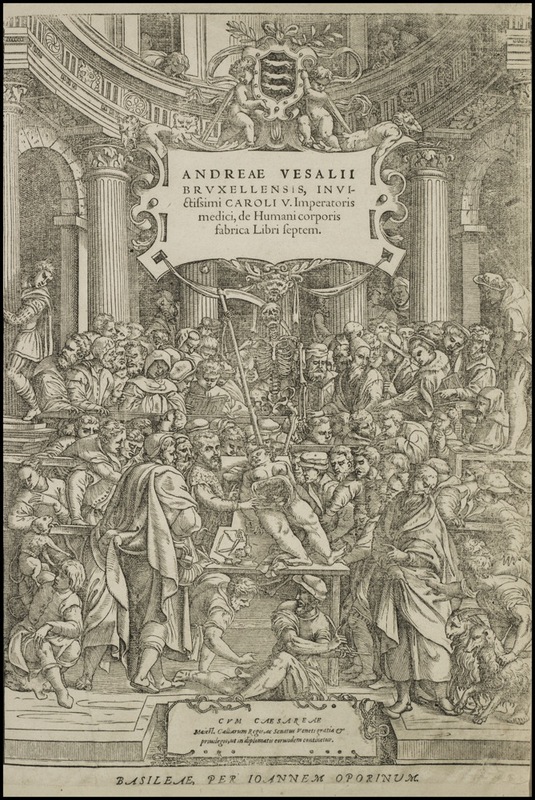 The Rare Books Division holds one of fifty-eight copies of the second edition of Andreas Vesalius’ monumental work, De humani corporis fabrica (1555), according to an article just published in the International Archives of Medicine: Medical Humanities. An Updated Census of the Edition of 1555 of Andreas Vesalius’De Humani Corporis Fabrica in the United States of America. Experience the digital reproduction of our copy. For the ultimate experience, we invite you to look at our copy first hand in the Special Collections Reading Room, level 4. Illustrated with twelve lithographs by Jean de Bosschere (1878-1953), a Belgian writer and painter who worked between the Art Nouveau and Art Deco periods. 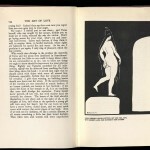 De Bosschere’s writing and art were influenced by a heady group of friends including novelists Aubrey Beardsley, Aldous Huxley, and D. H. Lawrence; Imagist poets Ezra Pound, T.S. Eliot, and Richard Aldington; and others such as Oscar Wilde, Charles Baudelaire and Antonin Artaud. 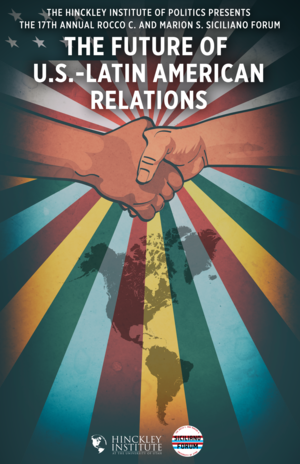 The Rare Books Division is pleased to participate in the 17th Annual Rocco C. and Marion S. Siciliano Forum: The Future of U.S. – Latin American Relations. Visit the Rare Books Classroom, Level 4, for a hands-on display of selections from the rare book collections documenting European and United States encounters with Latin America from the 8th century to the 21st. The story of the knight Parzival is a medieval German romance written in Middle High German, dating from the first quarter of the thirteenth century. The story is based on Chrétien de Troyes’s “Perceval, the Story of the Grail” which in turn centers on the Arthurian hero Parzival, or Percival in English, and his quest for the Holy Grail. All of the versions emphasize the importance of humility, compassion and spirituality. Heroic acts of chivalry, inspired by true love, dominate the story. 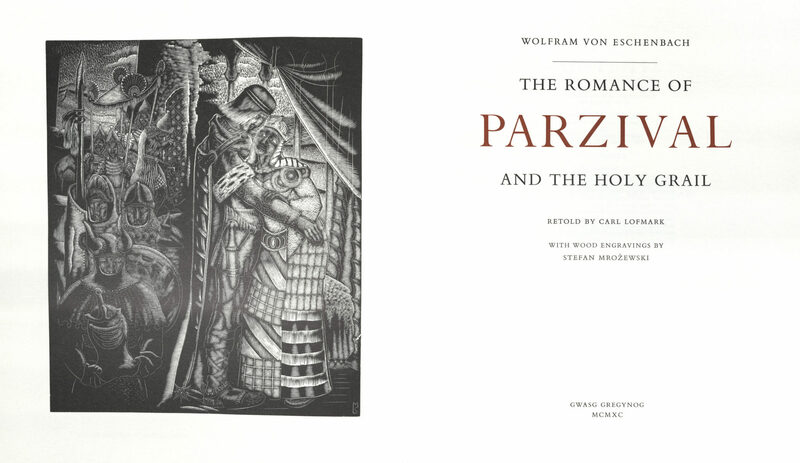 Illustrated with twelve full-page wood engravings by Stefan Mrozewski. The engravings were intended for a 1936 book, aborted by the outbreak of war. Abridged version translated by Carl Lofmark. Typeset and in 14 and 16 pt. Monotype Bembo. Printed on Zerkall mould-made paper. Bound in quarter leather and red decorated boards. Edition of one hundred and ninety-five copies. University of Utah copy is no. 106.